Look alive, Guster are on tour in 2019! 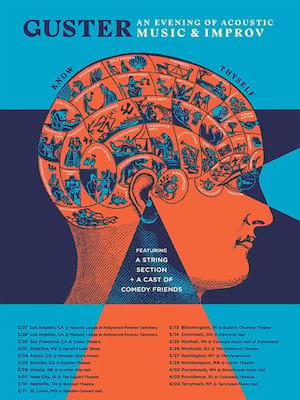 Alt rockers Guster return to the stage in 2019 in support of their newest release, Look Alive, the follow up to the band's 2015 album Evermotion. Promising to continue their reputation for creating airy, feel good indie pop, early reports are touting Look Alive as one of the best records of the Boston foursome's three decade career. 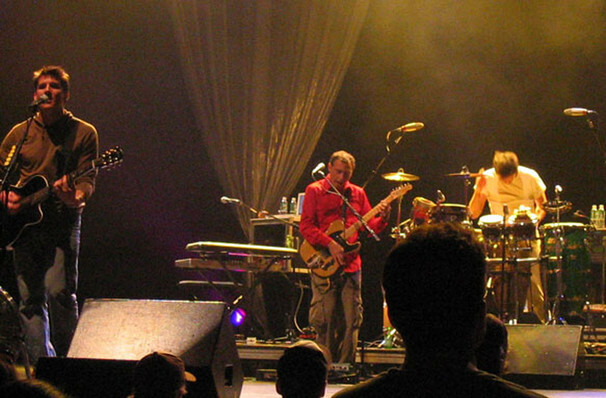 Known for their effortless way with sunny melodies and boyount hooks, Guster, led by singer Ryan Miller, broke into the mainstream with their third album Lost and Gone Forever in 1999. Among their best known tracks are 'Amsterdam' and 'Airport Song'. Catch them entering this new era as they take Look Alive on a much anticipated tour this year! Seen Guster? Loved it? Hated it? Sound good to you? Share this page on social media and let your friends know about Guster at Lupos Heart Break Hotel. Please note: The term Lupos Heart Break Hotel and/or Guster as well as all associated graphics, logos, and/or other trademarks, tradenames or copyrights are the property of the Lupos Heart Break Hotel and/or Guster and are used herein for factual descriptive purposes only. We are in no way associated with or authorized by the Lupos Heart Break Hotel and/or Guster and neither that entity nor any of its affiliates have licensed or endorsed us to sell tickets, goods and or services in conjunction with their events.